When I’ve taken classes from the wonderful Sam Abell, he always speaks of the use of internal framing to make photographs more layered and more interesting. Although he was really encouraging more subtle uses of internal framing, sometimes there is a flagrant example. Like right here. 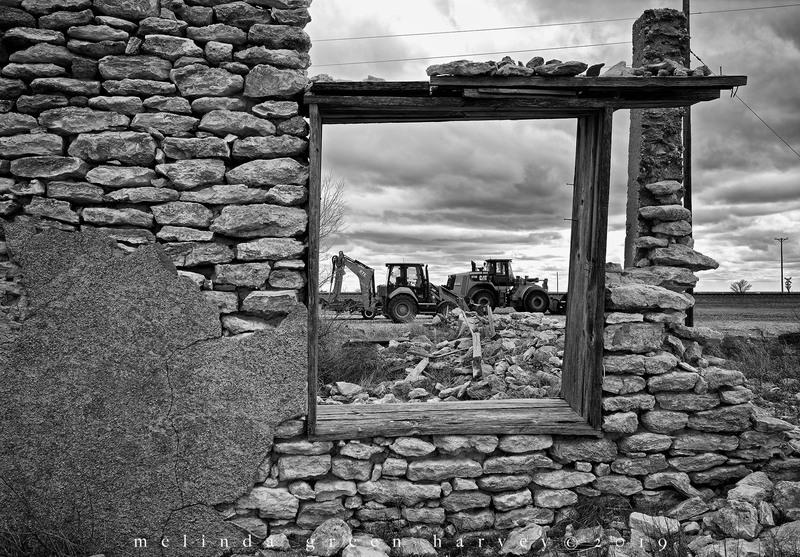 Posted on April 1, 2019, in Photography and tagged 365 photo project, abandoned buildings, black and white photography, heavy machinery, internal framing, learning to see, Leica, melinda green harvey, monochrome, new mexico, one day one image, photo a day, photography, postaday, road trip, Sam Abell, take time to look, thoughtful seeing, travel photography, yeso, yeso new mexico. Bookmark the permalink. Leave a comment.